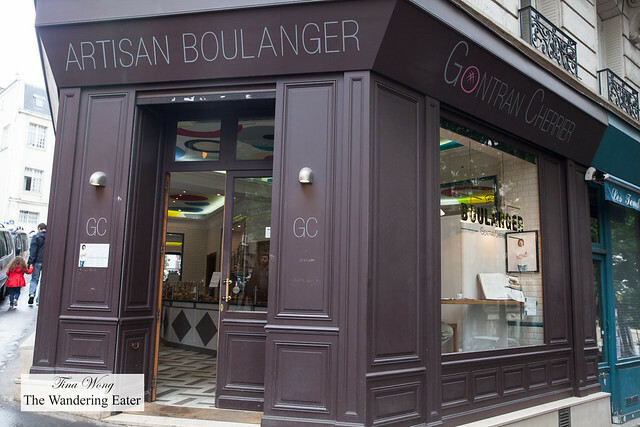 Gontran Cherrier is one of the few creative boulangers (bread bakers) in Paris, creating globally inspired flavors of bread but still the loaves are deeply rooted in traditional French recipes. Of course, there baguettes sold here (and they are very good) but I’m curious about his creations. 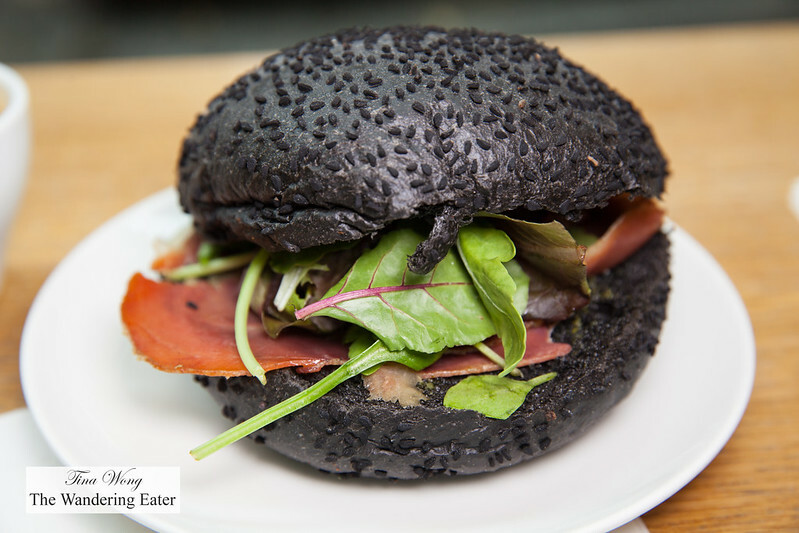 For the savory portion, we had their glossy black, squid ink sesame roll filled with thinly sliced cured salmon and topped with refreshing mesclun mix. The roll itself had a delicate seafood-brine flavor that you’d expect when you eat a dish made with squid ink. 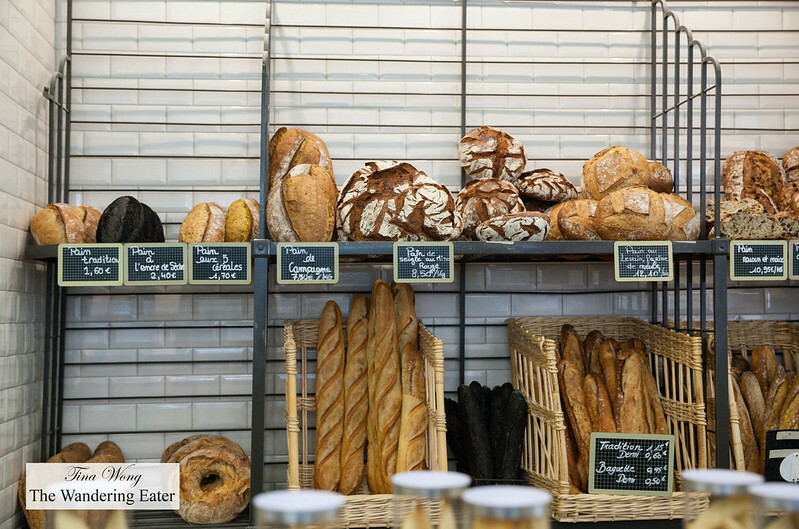 The demi loaves flavored with cheeses — Gruyere loaf and cheddar, lardon, mustard loaf — were delicious on its own with a good chew. It’s even better when you assemble yourself a sandwich with thinly sliced ham and a touch of arugula. 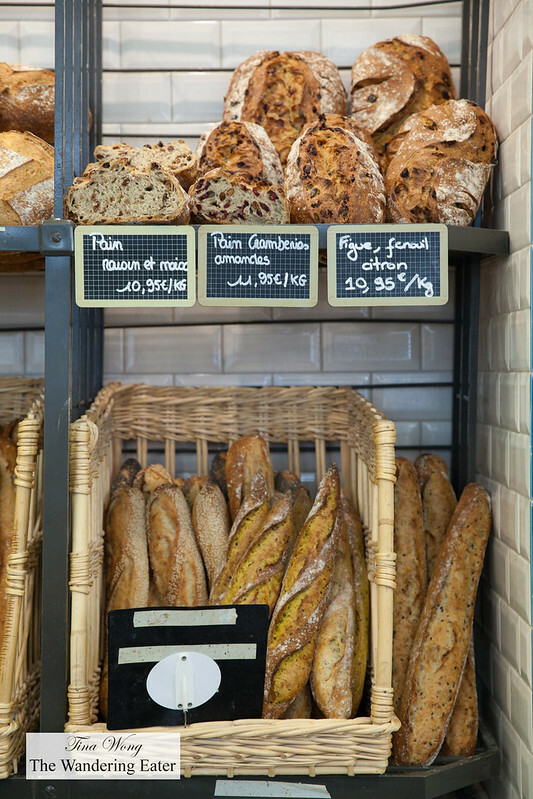 We had tried (though not shown), a delicious curry (cumin-forward) baguette and the signature red rye and miso loaf. 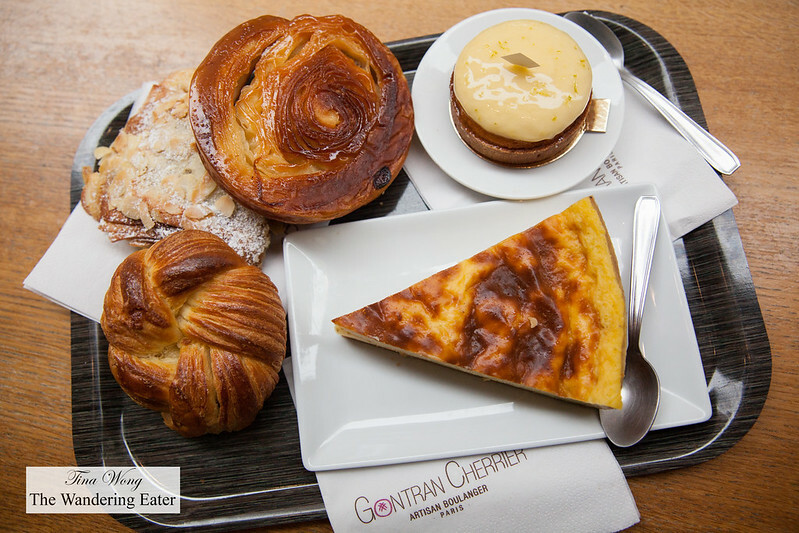 For the sweets, we went a little crazy and had a kouign amann, a laminated broiche roll, almond croissant, flan and lemon tart. 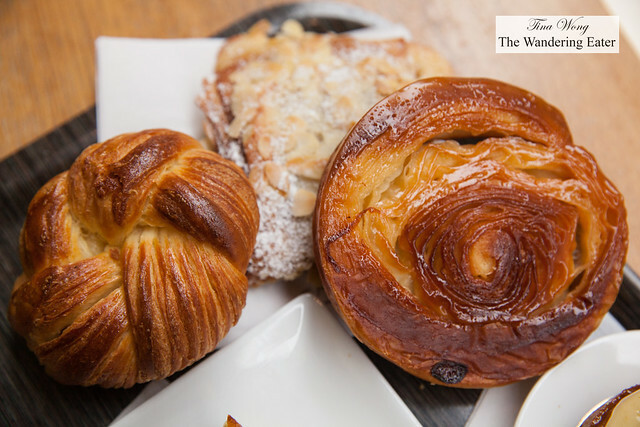 The kouign amann is a Breton cake that is best aptly described as a caramelized croissant. Cherrier’s version is quite good. Not too dense but substantial and perfectly sweet with the crackly caramelized sugar glaze. 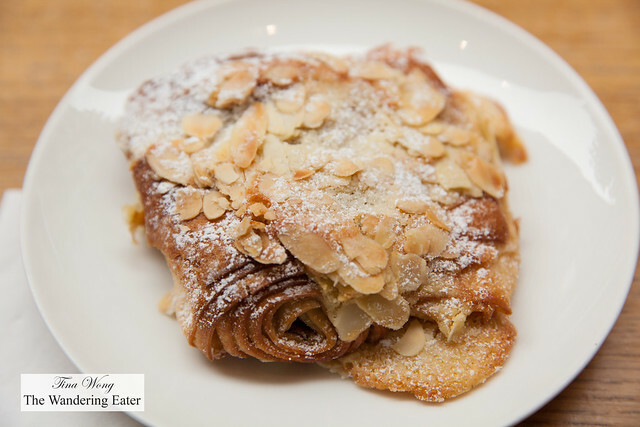 The almond croissant was very tasty and generously filled with sweet almond cream and just enough flaking from the croissant. 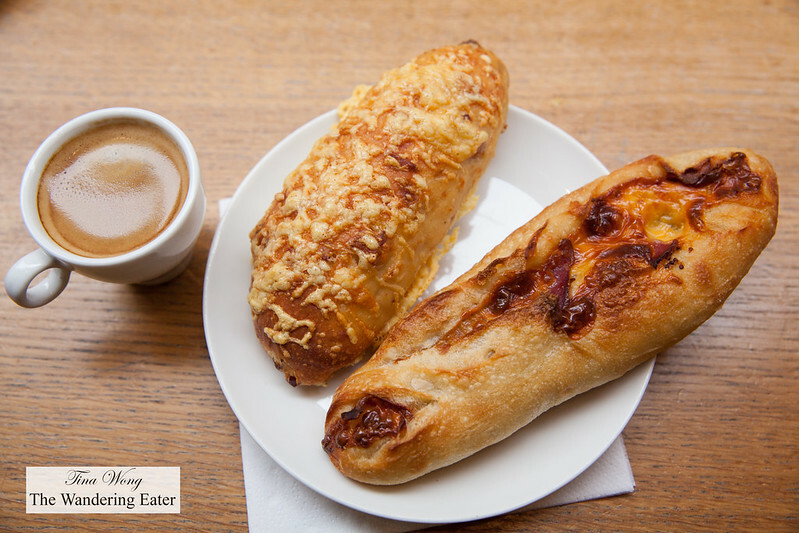 The unique laminated broiche roll has the some of the delicate crispness of the croissant since it’s layered and but much richer since broiche dough is loaded with butter and a touch of milk to enrichen it further. It’s delicately sweet, nice touch of chew and it would be really good with a smear of fruit jam. 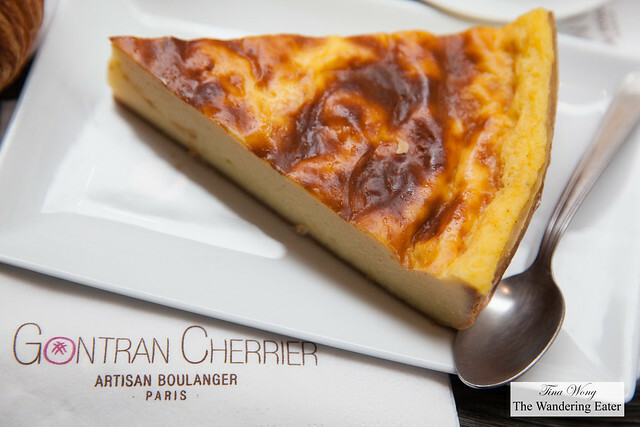 The large slice of flan is beautifully baked, sweetened custard that is a very good thin crust as its vehicle to cut onto your fork (it’s even sturdy enough to be held with the palm of your hand, if you must). 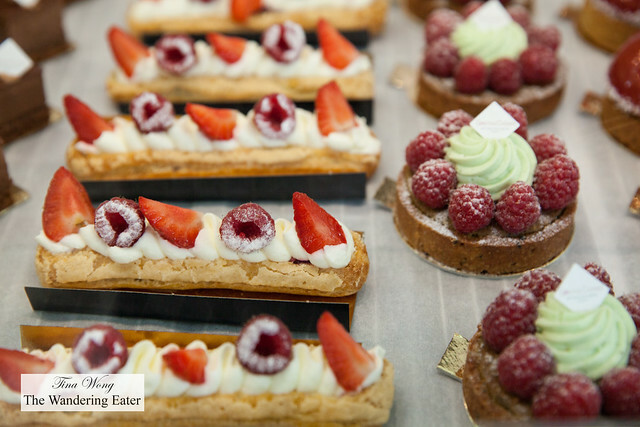 I would love to have the recipe! It’s that good. 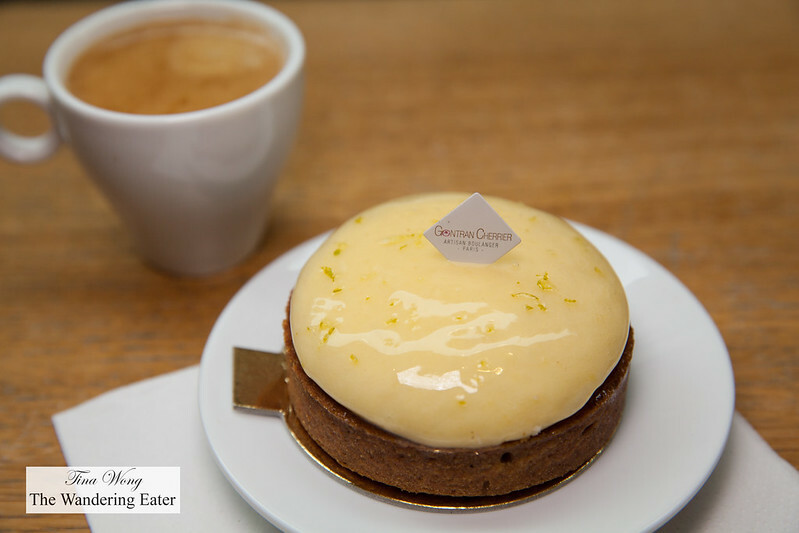 The lemon tart is a very good version where the sweetened crust was crisp, sturdy and buttery and the lemon cream was bright, clean and bold with lemon flavor and not too sweet. 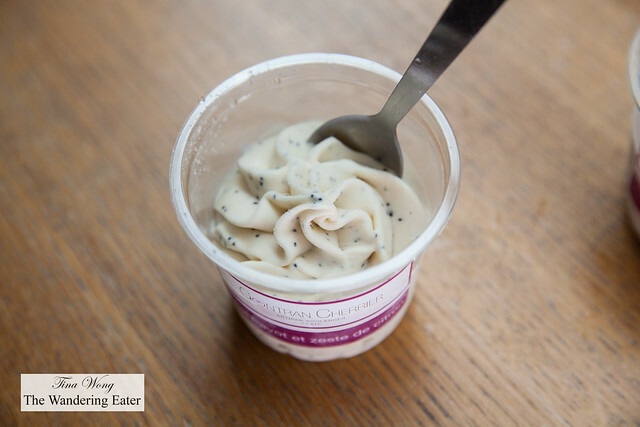 If you crave a frozen treat, there are individually sized cups of ice cream that are not the standard vanilla and chocolate. 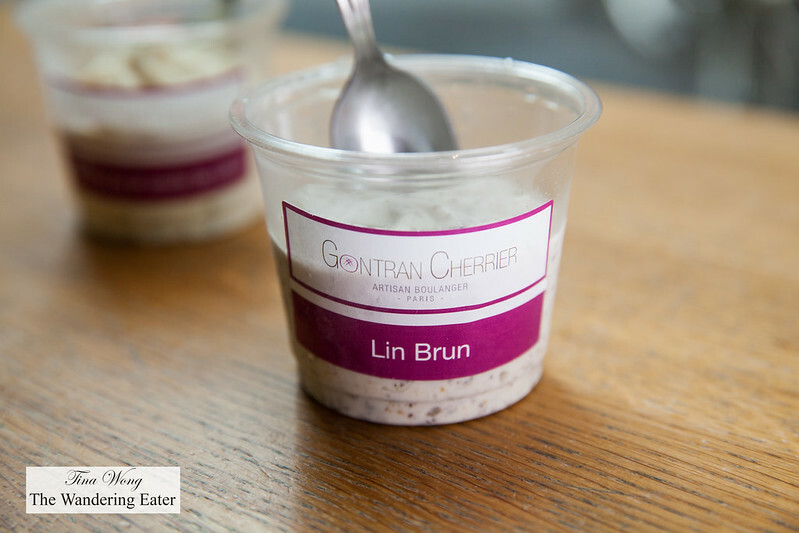 There were three flavors offered that day and we had the lin brun or buckwheat and a honey lemon poppy vanilla ice cream. Both were delicious in its own right but the textures of both ice creams were a bit too hard to dig out with a plastic spoon without some effort.